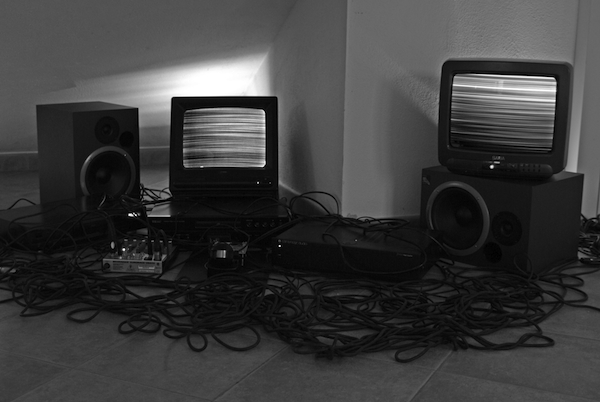 The source material is a sampling of a silence taken from a radio “sintesi futurista”, in which recording wear (vinyl distortions, dust and scratches…) has in fact transformed silence into noise. 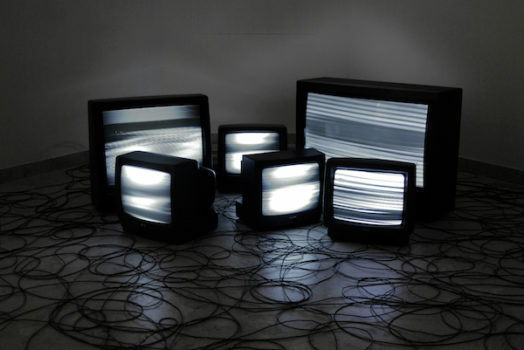 The project analyses this “sound oxymoron” and interacts with it by including digital glitches, so as to develop a composition in which noise and sound can no longer be distinguished, thus turning faults and imperfection into the aesthetic driver and the subject of the work. 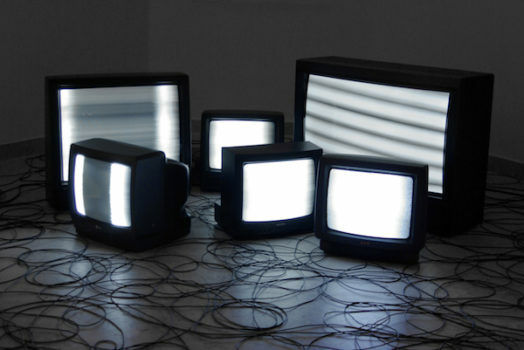 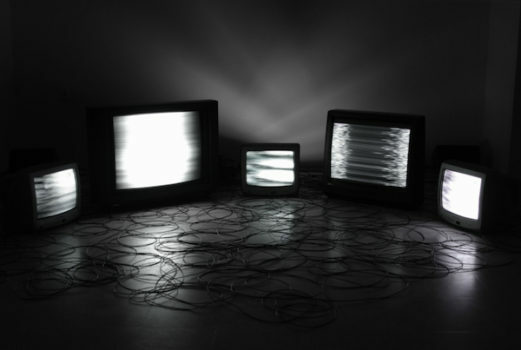 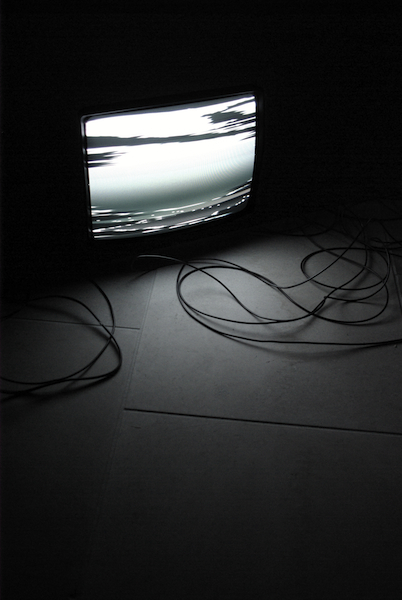 The aim of the work is to create and develop an aesthetic system generated by digital glitches (short-lived faults in the system, to which the title refers) and making connections between digital and analog technologies: vinyl and cathode tube monitors with computer and audio software linked together by an interactive electric circuit. 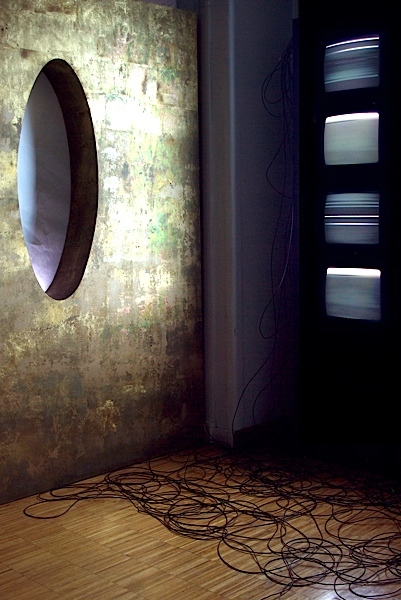 Technology – and its limit in getting across time and memory – is the target and the core at the same time of this work, shown as an aesthetic mean through its faults.